This strip is brought to you by Liliy is having a Bad Week and oh gosh pray for me. I can’t focus. Work is busy. I just. Ugggg. 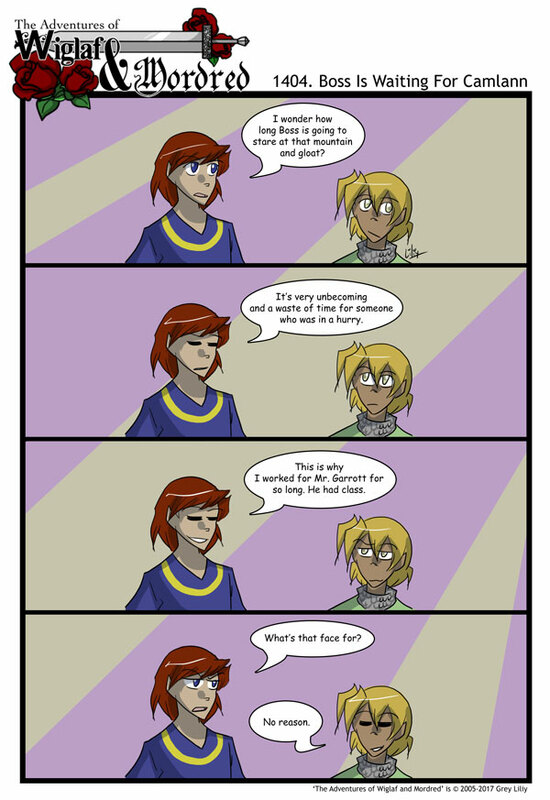 However, despite being a simple strip I think Wiglaf turned out very cute here. So that’s good.